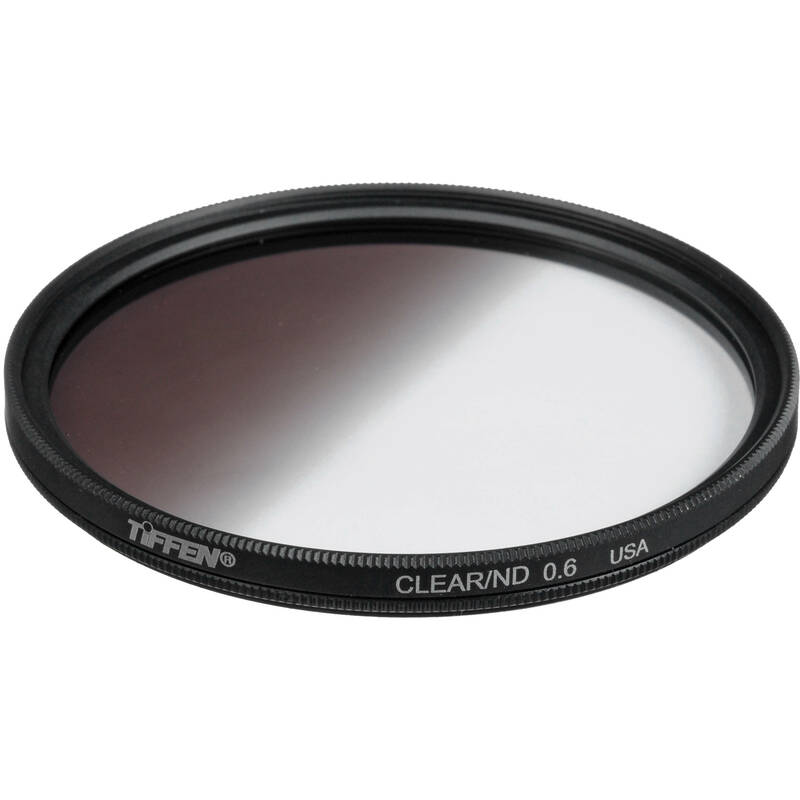 The Tiffen 58mm Graduated 0.6 ND Filter is a graduated neutral density filter that helps to specifically darken skies and other bright areas of the image. The filter is densest at the edge and tapers to clear by the middle, with a feathered line between the density and clear areas. Neutral density filters do not affect the coloration of the image and the 0.6 density provides a 2 stop reduction in light from entering the lens. Tiffen filters are made using ColorCore technology, a process that involves laminating the filter substrate between 2 pieces of optical glass, grinding flat to a tolerance of 1/10,000th of an inch, and then mounting to precision metal rings. 0.6 ND graduated filter for darkening skies and other bright areas of the image. Feathered edge is neither soft nor hard, providing a natural-appearing taper between the density and clear areas of the filter. Neutral density filters do not affect the overall coloration of the image. Box Dimensions (LxWxH) 3.5 x 2.9 x 0.5"
58mm Graduated 0.6 ND Filter is rated 4.4 out of 5 by 33. Rated 4 out of 5 by Tom Benedict from Mostly good things I have a full set of Hitech rectangular graduated filters. I have used them for years for 35mm, 4x5, and now digital. But I've recently started doing aerial photography with a camera suspended from a kite line. I flew my Hitech filters a couple of times, but they're large, they're fragile, and I knew I'd damage one sooner or later. So I went looking for a screw-on filter. The Tiffen 0.6 ND filter meets my needs pretty darned well. 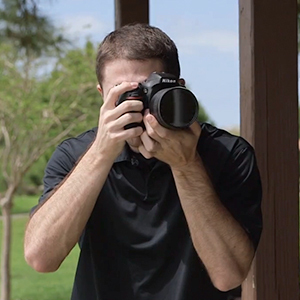 With a round screw-in filter, you lose the ability to adjust the graduation in your frame. But since kite aerial photography means you can't get your hands on the camera, this isn't a big minus. In side-by-side tests, it appeared to perform similarly to the Hitech. I have two nit-picks with the filter: First, the graduation only really covers the top 1/3 of the frame. 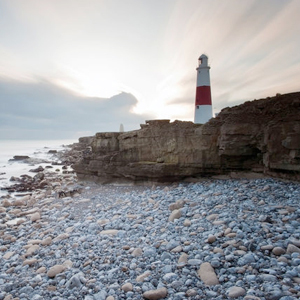 Great if you're doing strictly rule-of-thirds compositions with the horizon at the top 1/3 line, but from exposure tests using the Hitech filters, I knew I wanted a 50/50 split. No luck. But it still performs well enough that I'm using it. Second, it's not completely neutral. It gives the images a slight warm cast. I'm using this to photograph sunsets from the air, so I really don't care. But if you need a truly color-neutral filter, be forewarned. After seeing the color cast, I popped the filter into a spectrophotometer at the place where I work. Sure enough, the pigment Tiffen is using for the neutral density filter passes more red than blue light, and basically stops blocking much at all past 700nm. So be forewarned if you're intending to use this for infrared photography! I double-checked this by sticking a Hoya R72 filter on a camera and just looking at the Tiffen ND 0.6 filter. It looked completely clear. If I got this as a general-purpose filter, I probably wouldn't be as happy as I am. But since this was a very special purpose filter for a very special purpose application (aerial sunsets), none of the shortcomings I saw really affect me at all. So I'm pleased. Rated 5 out of 5 by Colorado Photo Enthusiast from Exactly what I was expecting I am very happy with this purchase. I was a bit concerned about it being the cheapest option and specifically it didn't mention if the unit can turn independently of the lens. It can (just as circular polarizer lenses do), so it works great. Great product for the cost. Rated 5 out of 5 by Anonymous from good like any tiffen filter as with any tiffen filter, which consists of 95% of filters i own, this was a great buy. they are hefty filters, which have saved lenses from breaking on occasion, yet it doesn't obscure the light. the grad nd .6 was a great buy for my digital and color film work for bringing my skies within my 5 stop range. a must have for digital or slide film landscapes. Rated 5 out of 5 by Mr. Photo Man from Smooth Out Your Landscape Images The Tiffen 58 mm Graduated neutral Density 0.6 Filter smooths out my images shot outdoors in light varying from bright to dark. Instead of getting an image with overexposure in the bright areas and underxposure in the dark areas, the overall effect moves to a more even tone. This is very noticeable and saves you a lot of work in post production. Rated 4 out of 5 by Cathy from Does what it's meant to Useful for darkeniing a bright sky so landscape details are not lost. The graduation is soft, it is hard to see any visible line. Glass is good, no distortion in anything I have shot thus far. In hindsight I wish I had bought a 3-stop instead of a 2-stop. Only reason for not rating it a 5 is the ring isn't brass, and also the plastc box it came in fell apart when I opened it so is useless to store the filter. Rated 5 out of 5 by Cool Mom from Awesome blue skies Dark blue skies with perfectly exposed landscapes. Does this filter have a rotating filter ring to allow more control over placement of density in the image? Yes it does. Turns easily and is well constructed. Used it successfully in Hawaii taking sunsets. It has a nice soft graduation. I've had good luck with Tiffen filters. Has the quality that I desire and meets my price point. I use my 58mm filters on a Canon GX1. Hope that helps.